Buying an asset cheap and getting a higher return is one of the many ways to simply understand buying notes. But there is another process that is involved and slow but with much lower pressure. 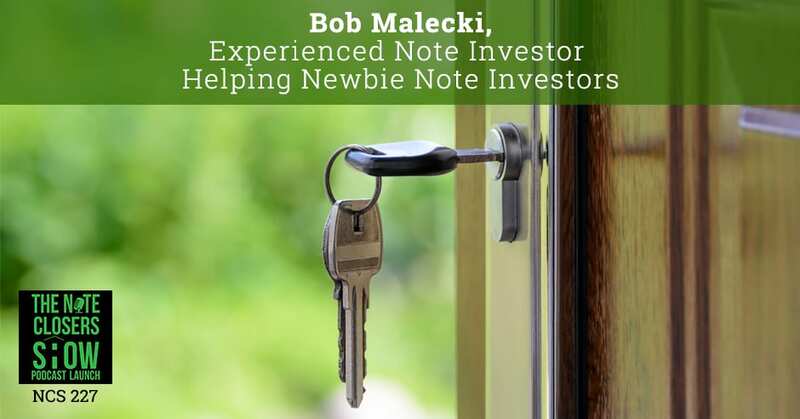 11-year real estate investor and 5-year note closer, Bob Malecki is helping newbie note investors understand that a lot of money can be made along the sidelines of this business as long as they do it slow and with integrity. Making mistakes or not carrying through a deal can put their reputations on the line. Bob shares his tips on building a network and getting referrals to create visibility and traction to raise capital. 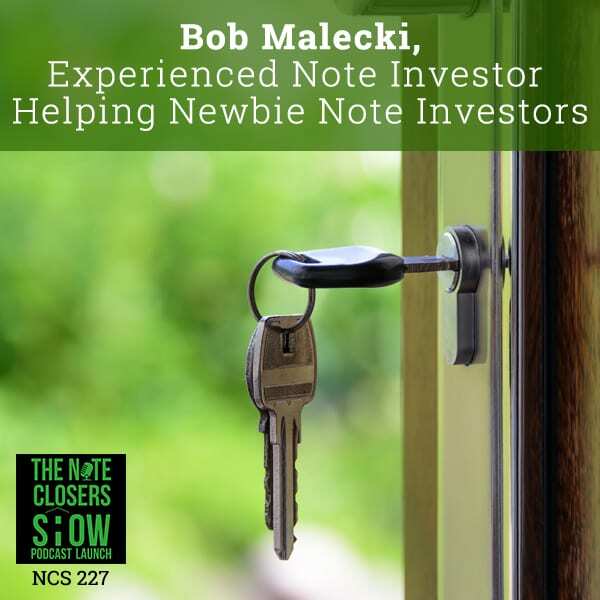 Our guest is a guy I’ve known for some while, a friend from the Pacific Northwest who is doing some amazing stuff in his own note business and is really doing some great stuff online as well as sharing information with other investors and really helping educate other people out there too, our good friend, Bob Malecki. You’ve been an active real estate investor for eleven years now and a very active note investor over the last five years. Why don’t you share a little bit about how you got into real estate investing and your background prior to being an investor? Newbie Note Investors: Rich Dad Poor Dad: What the Rich Teach Their Kids about Money That the Poor and Middle Class Do Not! I was actually running an internet service provider company on Bainbridge Island, Washington which is across from Seattle. I moved there. I was working for a division of Adobe right Downtown Seattle, then they sold off the product line and said I could go back down to Silicon Valley and try to get a job in the company there. I liked where I lived, so I decided to start an internet service providing company. This was back when 56k and DSL were just a forefront of everybody still doing dial-ups. That worked out great. I ended up creating a web hosting company and doing website developments with a partner. In 2006, both my wife’s and my mother passed away in the same year and they were the last surviving parents of both of our sides, so we inherited a couple hundred thousand dollars. 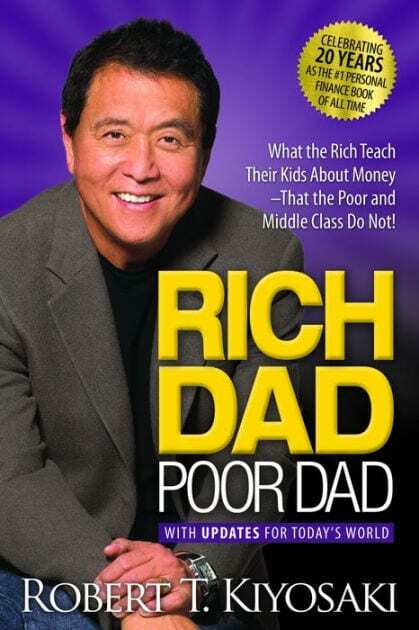 I started reading Rich Dad Poor Dad and looking at real estate investing as a vehicle to put the money into. We ended up buying some multi-family units in our local area which we still own. After that, I got into this thing called flipping and buying property subject to. I just read and self-taught and ended up started flipping homes, still running my IT business. Probably in early 2010 or so, I started winding down my IT business and continued doing flipping. I got into studying commercial properties for a couple of years, made some offers on small multi-families, 150-unit properties. They never panned out. Finding capital at the time was the tail-end in finding investors. I went through a few gyrations with the tax liens for about months and studied that, realized that that may not have the kind of upside that I want. Probably around 2013, one of my real estate agents locally, she also was a buyer of mobile homes and she would buy mobile homes, move them to another property with infrastructure and then resell those on a land contract. She found a couple over on the east side of Seattle that had a mobile home and they had sold to another couple and take them back to seller financing. If they needed cash, I’m going to do it with them. The note was $14,000 plus. I bought it for $7,000. It gave us about a 42% return on our money and we’re like, “Now, we understand how notes work.” You buy it cheap, you get a higher return and the light went off in my head. By that time, we’ve had times where we have group had done a presentation on notes. The first time he was there years before that, I just walked out in the middle and went, “I don’t understand this stuff. This makes no sense to me,” and I left. This time I understand what he was saying and I really started to engage in buying distressed debt. I went to a few of the conferences at the time. I attended your weekend boot camp back then. That’s where I met my partner, Ben Cote. I just started self-teaching and learning, getting on BiggerPockets, going to conferences, creating more relationships. I ended up buying seconds on a house in Southern California where I started to foreclose from. Long story short, I negotiated it to $25,000 payoff with them and I only had $15,000 into the notes. I got through that but it made me realize too that I don’t like seconds per se because it’s easy to get blindsided if you don’t know what you’re doing. I really just migrated into firsts. After that, I just bought non-performing firsts that are self-directed IRA and still own probably about four of the notes I bought back then as well as many others in our IRA. Conversing with Ben over the years after we met each other I said, “Why don’t we raise capital and create a private equity fund so we can buy larger pools of notes and have more cash basically to do this on a larger scale?” He agreed and we ended up retaining an attorney to write the PPM in raising capital. In the meantime, I was also working with Kevin Moen who is a Seattle-based investor and he’s also an Eddie Speed NoteSchool student. He had those connections and we brought Kevin in as a third partner. We raised $1 million and we’ve deployed that into first position, some non-performing, some re-performing debt. We have now about 28 assets in the portfolio. Half of those are re-performing, the rest we’re doing loan modifications and a few we’ve had to foreclose on. One in Minneapolis, we’ve just foreclosed and got the eviction. We’ve hired a property preservation company to go there and get it winterized and lock boxed so I can resell it to the local market. Essentially, I’ve been working in notes in my private portfolio of self-directed IRA. I started a solo 401(k) with one of my LLCs, put some money into that. I have started to do joint ventures with individual investors who are looking to buy notes with me and learn. My solo 401(k) is the managing partner of the venture and my JV partner brings in the cash. I’m setting up a situation where I’m earning income from those re-performing notes on a tax-free basis through a Roth component. One of the great things we get from people all the time is basically two questions: Where are you finding your deals and how are you raising capital? I want to spend a little bit of time on the back part because you’re very active on BiggerPockets and I think that is a hugely untapped market. There are a lot of people asking questions, a lot of people communicating, but you’re one of the premier guys I will say on there. You comment on a lot of things, you share a lot of things. Every time I see a conversation, I see Bob up on the right-hand corner of BiggerPockets, 7.9 ranking or 10.12 ranking or something like that, which is good. Would you share a little bit about your philosophy and your game plan when it comes to BP? When I first started out, I discovered BiggerPockets. I have heard of it. I never really got on. Then as I started to create those stupid newbie questions, I would go on BiggerPockets and start posting my questions. More seasoned investors already on the board like Dion and some of those guys would respond and provide their perspectives. I found it to be a really good resource in note and tax lien groups. There was a ton of information you could search for and it just really helped me both learn fast and develop relationships even through BiggerPockets. I would then go to these conferences and meet these great guys or women that I already had talked to on BiggerPockets and press the flesh and get to know each other. I found it to be a great resource. Now, with my knowledge and background, I’ve been able to start contributing back into it as more of an experienced note buyer and helping the newbies, help walk them along. I find it a great community. It’s relatively inexpensive. It’s free if you don’t get the pro level. Even the pro level I think is $100 a year, so it’s worth it. I’m a huge proponent. I actually had been solicited by the founders to do an interview. I think it’s number 211 that they did for note buying. I get maybe one to two inquiries a month still off of that. What I found a lot is with the price compression on single-family homes and the inventory streaking, we’re seeing a migration of either traditional fix and flip or buy-to-rent investors coming into notes because they can’t find yield in their traditional ways at the auction or REO. We’re seeing a lot of newbies coming in and unfortunately, from my perspective they’re bidding up offers on assets for ownership and flipping a rental rather than for re-performance. I’m bidding on re-performance, so my bids are going to be lower than theirs. This past quarter, I’ve probably put offers in on 50 or 60 assets and I’ve gotten five accepted. I’m always coming in at at least 15% IRR on the potential cashflow on the property. I’m probably being bid up against people who are bidding at $0.60, $0.70 on the dollar to take possession of the property and then foreclose and flip or whatever their exit is. What’s funny is a lot of those guys, they’re just Wild West gun slingers and I think a good sense of value is a good price for a non-performing note. You and I both know that’s overpriced. They’re killing themselves because when they’ve got to foreclose, then they’ve got to rehab it and they’ve got to list it, they’re not going to be making 12% or even 5% in a lot of cases because they overpriced the asset. That’s why it’s so important to really understand how this is a different market. Would you agree to that, Bob? Absolutely. I think the newbies are dipping their toe in the water. I perceive two dynamics. A lot of them will finally realize they’re not able to execute an exit that makes sense for them easily or they can get themselves into some trouble either on a local level with the city or the state or whatever, depending on the borrower and so forth. I’m hoping that our pricing with the retail sectors of housing will stabilize to some degree and allow some of these folks to go back into their traditional markets and start buying assets the old-fashioned way and get out of our market and let us do what we do best. I’m always willing to help a newbie. I’ve got a local Meetup here in Seattle and I had people come to it saying, “We were doing fix and flips and we can’t find anything, so here we are.” I’m like, “Why did you show up here? Get out of here.” I help them and I try to coach them. The nice thing about this note industry or this note investing business for all, as we all know, is it’s very intimate. Everybody’s there to help each other. That’s what I find is really enjoyable in this business. Newbie Note Investors: The nice thing about this note industry or this note investing business for all, as we all know, is it’s very intimate. Everybody’s there to help each other. There is quite a bit of that and that’s a beautiful thing. I love it because it works in our favors a lot of times if somebody was doing wrong or somebody’s just treating other investors bad. You shared a recent occurrence with a seller who pulled bids, then I chimed in about the same thing and shared a lot of information going out. I don’t think that seller is selling to make more assets because I hear people stopped using him. It’s really a great community when it comes to that. Would you agree to that? Yeah, definitely. Your reputation really hangs on the line in this community. Making mistakes or not carrying through or just not being a good actor in this industry can really help. Word can go around fast. My post in that article was just out of frustration that the seller had done this more than once to me and I just wanted other people to not waste their time or at least go in cautiously with that understanding of my experience and others who pitched in as well. I think a lot of people don’t realize that we as the note buyers don’t have a union or anything like that but we do have power. Enough is enough. If you’re going to treat people that way, we’re just not going to buy from you and everybody needs to know about it. The funny thing is there’s some backlash; that seller reached out to somebody else and complained and it got back up to them. I’m like, “You treat people bad, you don’t deserve to be in business.” BiggerPockets is a great place for that. I know you were on BiggerPockets talking about some of your favorite events. I know that you’ve gone to NoteWorthy and that’s finally died off and gone the way of the dodo bird. You like going to Paper Source, correct? I recommend Paper Source to a lot of newbies because I think that Bill Mencarow and his wife put together good, solid note events with a lot of education and a good representation in the vendor room of solid vendors who have products and services for these people. I’ve always found it to be a great networking event, very straightforward. That’s one I’ve been going to for four years. Also NoteExpo, which is hosted by NoteSchool. They just do nice, high-class events. It’s great access to the students of NoteSchool since I would say probably the majority are students. I’m glad that Eddie and Bob opened it up to non-students to allow more networking opportunities. The other one that I’ve been attending and I’m going to is the IMN Conference. They hold the summer one over in Southern California. IMN is more of a midlevel conference, but I found it a good place to find asset managers who are still willing to sell smaller pools and portfolios. I tell all my peers and people I’m working with to go to conferences and network. It’s the best way to meet people. It’s the best way to get referrals to other asset managers and to build your own network. You’ve got to get out, press the flesh and talk with people and network. You can’t be introverted and expect to find deals or raise capital for the most part. I’m the kind of guy that if I could just buy notes and create relationships in my pajamas at home, I’d be doing that but that’s just still not realistic. I could still work in my pajamas at home but I’ve got to keep those relationships reinforced as well. We’ve got questions, “When it comes to going to events, what’s your approach to raising capital in an event? Is it just to go out and meet as many people as possible or is it to identify the players in the room?” What are your three big rules for raising capital in events, Bob? Raising capital is really creating attraction and giving things away, the whole pay it forward philosophy. BiggerPockets has actually been a good resource for creating visibility for me and becoming an expert in that niche and attracting people, both JV individuals as well as potential investors. I created a local Meetup for non-performing notes and I’ve attracted people to that. My partner, Kevin, he’s a brilliant guy as well, so having two guys to really know what they’re talking about really pulled the crowd in. We’ve attracted some investors. I do not ever, ever sit down and say, “I’ve got a deal for you.” I just expound what I’ve been doing and the kind of returns we’ve been getting and it just creates an attraction. You can’t really go out and sell an investment, unless you’re running a 506(c). You can’t advertise it. We have a 506(b) exemption, which means that we’re not allowed to advertise or promote. You’ve got to be very careful on that. I get some emails where they’re talking about a guaranteed 13% return. I cringe when I see the word guaranteed on return even in an email because I know that person probably violated a regulation in their home state. I created a Meetup group to create some synergy into my local area. Being on BiggerPockets and contributing and creating that attraction has helped a lot for us. Then having referrals of investors, friends of friends thing, “I’m invested with you at that ability.” I also go to other Meetup groups in Seattle for real estate investors who are mostly fix and flip or traditional investors. I’m just there and I talk about what I do and leave it out there for them to either call me back and find out more or, “It’s not my bag. I’m going to move on.” It’s really just a game of attraction. It’s not going to happen overnight. It’s a process of reaching out, meeting people and networking. I don’t want to say delivering your executive summary but it is like that, “Here’s what we’ve done and here’s what our bread and butter is.” We stick and go from there, right? Yeah. What I set up on a marketing side is for our fund, we have a term sheet, we have an executive summary, and we have the PPM. I’ve created a collection of collateral on PDF files so when we do have somebody who inquires, we send them our business summary which gives them an overview of the market, what happened in 2008, where we think it’s going. It’s maybe a five or six-page, just written one with a few charts and graphs in it. Then we send them the term sheet which is more of an actual extraction of the PPM, the terms of the fund and who gets paid and when and so forth. I don’t try to overwhelm anybody with a lot of information. We keep it simple. A confused mind will not make a good decision, so you always try to keep it as clear and simple as possible and let them walk themselves into the deal. They read those and they’ll call back and say, “I’ve got some questions,” then you walk them through the business model. It’s a very slow process, no pressure at all. There’s so much money right now out on the sidelines of investors that you’re going to find capital as long as you do it slowly and with integrity. I think anybody can raise money as long as they do it with integrity. What’s your bread and butter asset type? What do you like? Are there specific states you like, deals you like? If you’ve got a list of assets and something popped on it, what’s your like, “I’ve got to get on that one?” What’s your favorite type of asset? 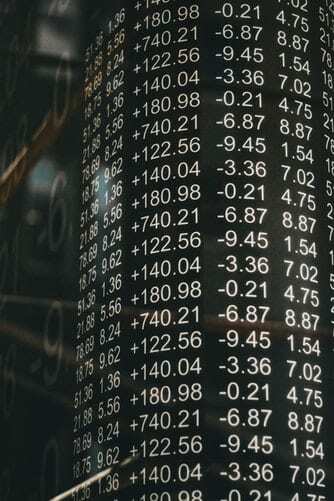 Newbie Note Investors: There are other surrounding variables that we have to look at, but I found them to be good and actually more beneficial than a non-bankruptcy in many circumstances. Mainly over $100,000 BPO value. When I started out, I was buying $30,000, $40,000 value properties in Tennessee and smaller communities. As we were buying assets into our fund, it hit me, “It’s the same amount of work on a $30,000 asset as it is in a $100,000 asset, so why not buy bigger assets if you can find them?” I buy north of $100,000 value of either UPB or BPO, mainly not New England, not New York, not New Jersey. We’ve been focusing on the Southeast, the Carolinas, Tennessee, the Midwest, Oklahoma, Indiana, Ohio, now Michigan, possibly anything on the West Coast we can find. We’ve stayed out of California just because one of my partners lives there and there are some regulations that he doesn’t want to get mixed up in with California property. That’s pretty much it. We look for non-judicial states if we can, although a lot of judicial states, their timelines are not too severe. Oklahoma has been about nine months for foreclosure. We did have one in New Jersey that we bought and it finally foreclosed. Now it’s going to take another two months to get the deed from the sheriff, so we’re just waiting for that. That was a challenge but it looks like it’s going to work out as far as giving us a good exit profit. I also keep an eye out for Hardest Hit Fund states to see if there is an opportunity there. I haven’t had any success with Hardest Hit on the assets we’ve owned because the borrower was typically more qualified for one reason or the other with the agency. First position debts and Bankruptcy 13, I’m fine with. I get excited when I see a BK 13 especially. Then I look it up and I see that they are in a plan, so it tells me that there’s a pretty good chance I’m going to get paid on this loan, especially if there’s arrearages to make a pretty good profit on it. A lot of new investors see bankruptcies and go, “I can’t deal with that,” but a 13 to me is just a little treasure. Obviously, there are other surrounding variables that we have to look at, but I found them to be good and actually more beneficial than a non-bankruptcy in many circumstances. I totally agree because it’s nice that you have an attorney, to talk to an attorney and being able to log on to PACER and see basically the borrower opening up their whole kimono. Maybe they’ll show you everything on Pacer.gov. You’ll learn so much due diligence and potential workouts and values and things like that in Pacer.gov. BK Chapter 13 is like Christmas in July. Donovan started off a Meetup group for note investors in Houston, Texas. Do you have any advice that you can give him for marketing to draw people to your events, your event in Seattle and things that you do? As far as attracting people to it, marketing for it. I use the Meetup platform and create a meet-up group. You put keywords in that meet-up group so people, when they search for notes, distressed debt in Meetup, it knows your location by then, so it’ll bring up groups that have those keywords. I would say using very specific keywords if you’re doing a Meetup group setup. It’s free to set up. There’s a certain limit that’s free then after that you have to start paying them a monthly fee. That’s how I started. I just set it up for free, put in my keywords, started getting people to join, having it at a location that is conducive to talking. We moved around quite a bit. When we first started, my partner, Kevin, was working for a company that had solar energy installations so we were able to use their boardroom, which was quiet, nice Saturday morning. Then he quit and he became a full-time investor so we lost that. We went to group pubs, we went to another bar. We ended up bouncing around to different locations in the evening and just at noisy bar or restaurant. We’ve actually gotten to the point where we’re renting out a conference room Downtown Seattle and we’re holding our events during the afternoon, noon to 2:00 and doing a brown-bag lunch and bringing in speakers for that and formalizing it a little bit. I would say bottom line when you’re starting out, you want to get a group together in a large coffee shop with a backroom or somewhere where you can have quiet dialogue, as well as a select based on your community, are you going to hold it downtown and what is the commute in and out of town in the evening and all the dynamics having to do with transportation. You want to make it as easy as possible for those potential investors to come to your meeting and learn what you do. 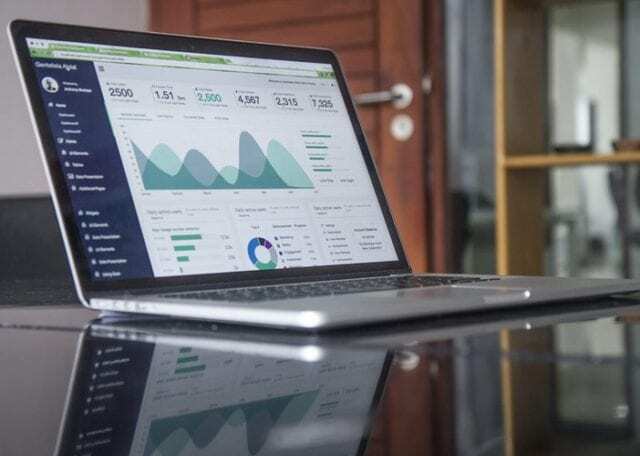 Are you using anything like targeting any investors on BiggerPockets because it allows you to do a search for investors and anything like that, inviting them? No, I am not doing any active targeting like that. We have written out our first fund post out, so we have a collection of prospects for Fund II that we built up. We use Highrise as our Contact Relation Management application. We’ve got a pretty good stable of investors for our next fund, so we’re not having to go out and try to find more people. I’m just very skittish about marketing to investors for investing because there’s a lot of SEC regs that are gray and I don’t want to trip over my own shoelaces. I was wondering if you’re using that to invite them to your Meetup group as more of a warm pass-through. When I see anybody who’s located in the Western Washington area, I private message them and give them the information about the Meetup group to invite them and try to engage with them on a face-to-face level. You’re in Seattle area and you’re buying in the Southeast parts of the United States and things like that. Do you have any advice for people that have fear of investing outside of their backyard? I know the old NIMBY attitude of Not In My Back Yard. I’m a little bit biased because I started buying turnkey properties in Memphis when I first started out with my cousin and put our IRAs together to create a self-directed checkbook control IRA. I mastered back to check out the properties and do a meet and greet but in general, I’ve created skills on working remotely with both vendors and property managers and so forth, so that helped alleviate any issues I’ve had with remote investing. To me the driver is that if you invest in your local area and like here in Seattle, everything is going through the roof and a lot of major metro areas, the attraction of making a higher margin profit in the remote area and using the internet and the phone and an eventual maybe trip out there to meet and greet makes a lot more sense, much more upside. In terms of those who are still not comfortable with investing outside their own area, just learn how to use the internet, learn how to email and call and do Google searches. I use Google every hour, every minute of the day just about. Especially when I’m doing due diligence on an asset, I’m going to Google not only the property but their current borrowers and so forth to see what kind of intelligence I can get on them. Going to conferences and meeting people in other areas as well. I went to the Ohio REIA Conference, that must have been five or eight years ago and I sat with this woman who’s a real estate agent and investor in Indianapolis. She’s sharp and we kept in touch over the years. I’m looking at a first position note in December in Indianapolis and I called her and said, “Could you do a drive-by for me? If I buy it and if we end up foreclosing, I’ll use you as my listing agent.” She drove up there and she sent me a video. Having boots on the ground in the cities that you’re targeting to buy assets really helps a lot as well, but it’s not necessarily needed. Worst case, jump on Southwest, fly to the city and learn it. 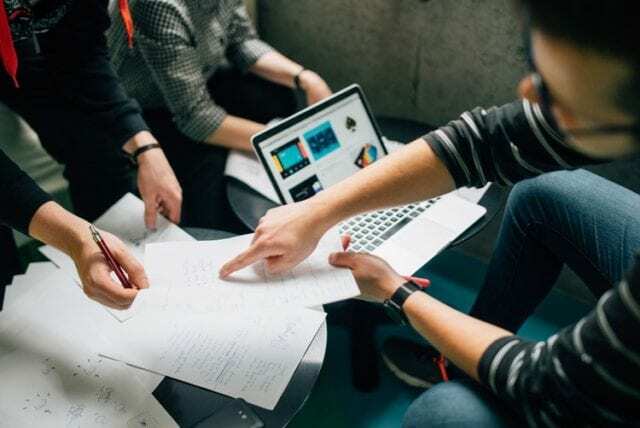 Find out when a Meetup group is meeting in the area, fly out there and get everything you need in one night for the most part. Using WeGoLook or a BPO service to get some boots on the ground for you, it’s so easy to deploy and it’s under $100. To me I’d rather stay home, not spend the money and hire WeGoLook to do a walk around and get me the current shots in the area, especially if the Google Street View date is two or three years old and you’ve got to watch that. If that Google Street View is from 2011, that neighborhood could be completely different by now. I love WeGoLook. It definitely is an effective tool. With all the photos you’ll get, you’ll get an idea of what the neighborhood is like pretty fast. Where do you think the market is going? I know we’re living on the West Coast and especially in Seattle where you just see prices just keep going like this and we’ve talked when we were both at the Quest IRA event. Where do you see the housing market going in 24 months? Do you think it’s going to keep going up or we’re going to see a correction or what? Newbie Note Investors: I think we’re going to need a reset in the stock markets to really affect the housing market. From what I’ve been reading and listening to on podcasts, it seems like it’s going to keep going up or it’s not going to go down. I think we’re going to need a reset in the stock markets to really affect the housing market. In most major metro areas we’ve got here in Seattle, the Amazon and Microsoft and so forth, and now we’re seeing up here that a lot of the Silicon Valley companies are putting offices up here to basically leech off the talent from Microsoft to Amazon. We’ve got this surge. We’re turning into Silicon Valley North. Other space and other so forth, there’s a lot of growth. Until really those companies have a reason to start laying off employees and employees have to sell their houses at a discount and the market starts to deprecate, I don’t really see any kind of slowdown in the economy right now. It’s very bizarre that we’ve got stock markets over $25,000 and housing is up. I’m like, “Where’s the problem with this?” I haven’t really been able to determine that. With notes, we’ve seen a very large shrinkage in product. We’re five years past the boom and the distressed debt. I’ve heard at conferences $200 billion or $300 billion, but I went to NoteExpo and Paul Birkett did a presentation. He pointed out that Goldman Sachs bought a large tranche of debt from Fannie or Freddie, which to me explains a bit of the shortage of inventory if you’ve got these big banks buying and holding the debt rather than reselling it. I’m hoping at IMN to be able to talk to some of the midlevel fund managers to see what their outlook is and what they think is going to happen over the next year or two, because there’s still debt on the books. It’s still going to be sold off, but we don’t know if it’s going to be cannibalized upstream or eventually some of those assets will trickle down to smaller investors. I have a good relationship with FCI. Mike Griffith and his sons, I always say hi at the shows and I got out some key staff there that I call. They’re definitely top heavy as far as management. One of the most frustrating things when I first engaged with them was figuring out who to speak to. They don’t have a concierge that will just take your questions. Now they do. I actually have one person that I can email and she’ll send me off to the foreclosure person or to the loss mit person or whatever. They’ve been really helpful and you just have to learn to work within their system. I’ve spoken with one of the VPs there on a question I had regarding high-priced mortgage loans. He spent a good twenty minutes on the phone with me just explaining the parameters and giving me some really good perspectives on it. That was to me worth the price of admission. I know a lot of people get frustrated with FCI. They feel like they’ve been tossed around from one department to the other. My father used to say, “You attract more flies with honey than vinegar,” and I’ve just been always really nice even when I get really frustrated with them. You’ve built a great relationship with them and have been with them for a while. That always helps to get things done and make things happen. I think FCI has also grown a lot over the last few years too. They’re catering to people more so that have a portfolio with them versus the new investor for the most part. I think for a while they weren’t taking new clients if I remember correctly because they’d been very busy. They’re also dealing with a lot of different regulations that are happening on a statewide level and things like that because we’ve seen some of those comments from people who have BK loans with them and don’t have them servicing it, just having it board with them. They’re dealing with some things. Every servicer has their pros and cons. It’s all about how you’ve worked with them and their systems a lot of times. Sometimes not every servicer is for everybody. I’ve used other servicers too. Another one that I’ve used, they were good but their reporting system was just difficult to interpret. Their website was hard to navigate through and I got spoiled with FCI’s graphical website and learning to use their tools. Now it’s very easy for me to look at my portfolio and do analysis and contact the key person at FCI that I need if I have a question. I look at not a lot, only two other servicers. We actually bought a bunch of loans with this other servicer and we moved those to FCI just because I felt we had better service, the pricing was slightly better. Then we had everything consolidated with one servicer as well. That’s typically the thing, having servicer in one slab in one spot versus having to jump back and forth. Once you’re comfortable with somebody, it’s hard to move because I think we’ve got all enough plates that we’re spinning with the different assets and the exit strategies we have to worry about trying to find new vendors every month. What would you say to somebody who’s getting started like you were years ago? What would be a tip or two that you’d like to give somebody who’s a brand new investor when they’re looking at notes side? I would say get on BiggerPockets, start reviewing all the posts in the tax lien and note forum. There’s a lot of gold there. Get to some conferences whether it be some of the smaller regional note conferences like the Distressed Mortgage and Private Lending Expo. That looks like that could be a good regional one for anybody on the East Coast. Network, network, then when you’re done, network some more. It’s really a networking type of relationships. Calling asset managers that you’ve met, getting a rapport. I’m not a big phone guy. I’m an email guy because that’s the way I am, so it’s difficult for me to pick up the phone and call somebody. My partner, Ben, is the opposite. He’s a phone guy. What I found is every time I do pick up the phone and talk to an asset manager or a vendor, I get a lot more done than if I try to do my straight email because there are things in the voice and the jokes and just the rapport you can create that really help get that person engaged with you and working out with you for your best interest as well as theirs. Email is great because it’s virtual and it’s not time-dependent, but engaging with somebody and having a dialogue really helps a lot. You learn a lot more or you get a lot more information than maybe you wouldn’t have on the email and so forth. I’d say going to these conferences and engaging with people. Line up your funding. Try to figure out if you can engage with a family member if you don’t have the cash. Friends and family, it always sounds silly, but that’s where it starts. I started out with my cousin and my wife. The three of us put our self-directed IRAs into an LLC and started buying asset and that really helped me create a platform to be able to run Resolution Capital Management more efficiently because I cut my teeth with my own cash and the assets I bought in my IRA. I want to thank you for taking time out of your busy schedule to join me here in The Note Closers podcast. You’ve got some big plans this year, don’t you? Yeah. We’re starting to finalize Fund II to raise some capital. I’ve still got JV programs moving forward for buying notes. 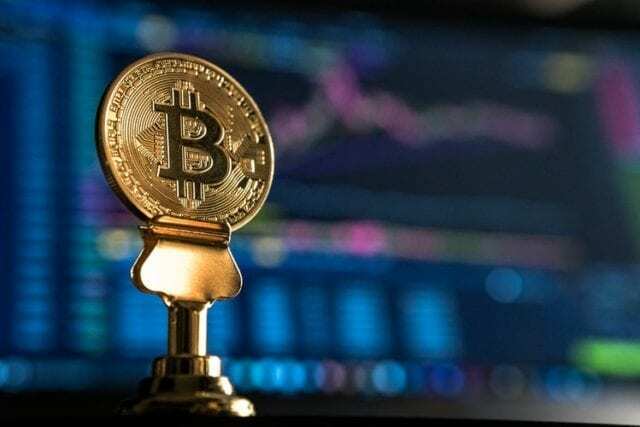 Actually I started to look into creating a fund for cryptocurrencies, which is totally different than what we do. I’ve been buying bitcoin and some crypto since last fall and watching it go up. It slammed back down so the volatility is there. To me, cryptocurrency is another asset class that I’ll probably get more involved with alongside with notes. My main goal is to not have to flip any houses.. I flipped three houses last year in my area. Frankly, I’m burned out on flipping especially when I know I can buy notes and spend my time in my pajamas rather than having to go on site and beat up a contractor. Newbie Note Investors: To me, cryptocurrency is another asset class that I’ll probably get more involved with alongside with notes. Thanks for having me on as well. If any of your listeners are going to go to the IMN Conference, feel free to find me. I’ll be speaking on the second day in the morning on a panel. If you can’t find me elsewhere, I’ll be sitting there at least for twenty minutes on the panel and you can find me there. I’ll most likely go to Paper Source as well on April over in Las Vegas, so I look forward to seeing you guys. Great to see you. Be safe. Stay warm. We’ll see you at the top. Same to you. Thanks, Scott. Make sure if you have enjoyed this episode to share it. If you’re listening on iTunes, Stitcher or any other podcast links and you’ve enjoyed the episode, which I’m sure you did, make sure to leave us a five-star review. We look forward to seeing you. Keep rock and rolling. We love it when you send us emails and let us know what you like, what you enjoyed and when you share, those are all great things. You can always send me an email directly at Scott@WeCloseNotes.com. We’d love to hear from you and see what we can do to keep making The Note Closers Show the best podcast when it comes to the distressed note and paper game. Until we meet again, go out and have a great day. Go out and make something happen. We’ll see you all at the top.